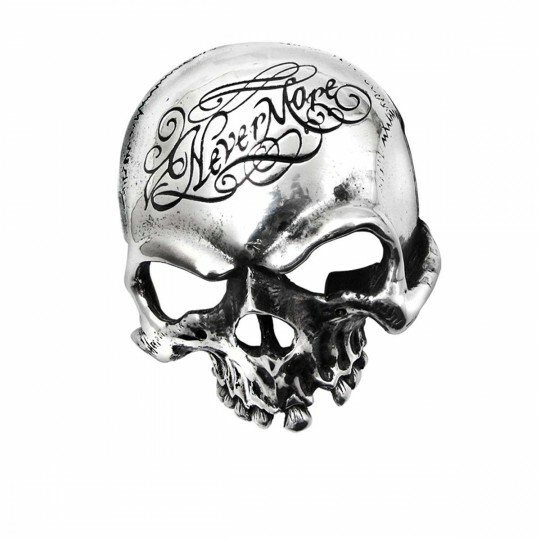 B93 - Nevermore Skull in Belts, Buckles & Gloves is made for Women and Men and comes in Black and is made of Pewter material. It is marked as BeltBuckles and weighs about 1.00 lb. A study in destinal mortal reflection, and a solemn reminder of lifes hopeless ephemerality. Width 2.2 x Height 2.8 x Depth 1.61 Approx.